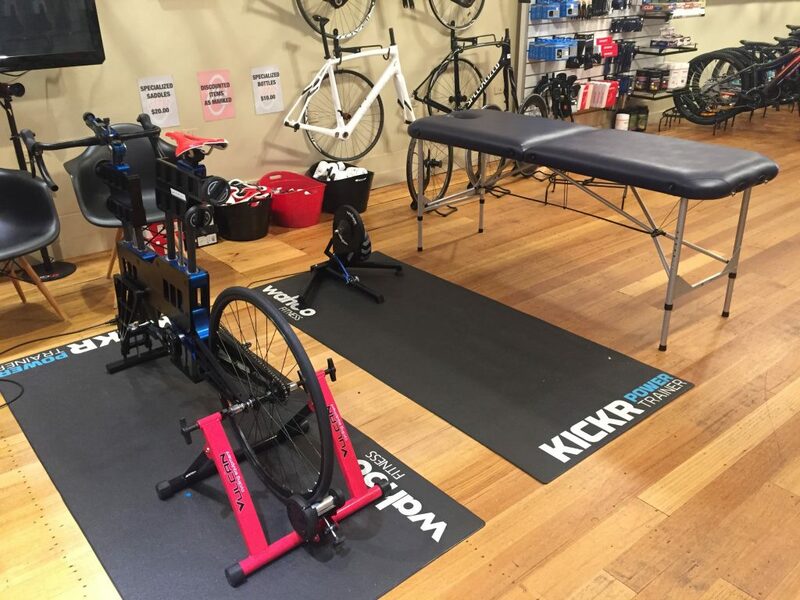 I am sure a lot of cyclists would share my previous attitude towards a three-hour bike fit, priced at $300. I had a hard time justifying the outlay and the time commitment when cheaper and quicker options are available. 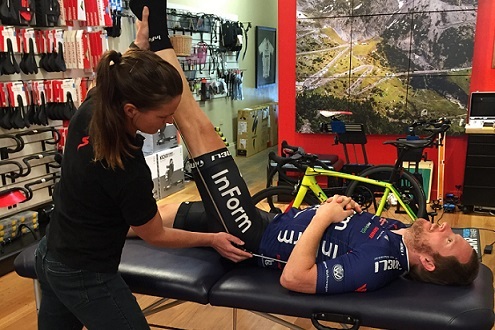 Is a $300 bike fit really going to be that much better than the one costing $100? After the initial standard fit we isolated two issues that required attention. Firstly, I wasn’t sitting on my seat correctly. I was favouring the left side of the seat, which has been causing some seat discomfort and tingling in the right hand. Secondly, my left leg pedal stroke is very unorthodox. If you watch the video you will see my leg moving around like it has a mind of its own. It would be a fair assumption that this is affecting my power output and causing further discomfort on the bike. After speculating that my seating position and pedal stroke may have been caused by discrepancies in my leg length, we were able to validate that this wasn’t the case. My leg length is even. After measuring and testing all other critical areas, such as foot structure, knee position, foot rotation etc, Emma concluded that my body is structurally well aligned. There are no major discrepancies, outside of being rather stiff and inflexible in a number of muscle groups. After testing and measuring my body comprehensively, Emma then put me on the “Retul” bike which is designed specifically for tweaking down to a granular level. On this bike you can easily maneuver all areas of the bike with ease. Test the adjustment, film some movements and then make adjustments until you’re in the right position on the bike. Being able to try all different types of seats and seat widths was invaluable. For years I have been trying to find the right seat, wasting money, and more often than not, ending up with a seat that caused more discomfort. While I was on the Retul bike Emma tried a number of seats until I felt right and my position looked correct. Minimising the movement in my left leg pedal stroke was going to be tough – or so I thought. Emma used a special device that identifies the best foot bed given the arch in your foot. Through this analysis we were able to identify that my left foot has a higher arch, so we started off by embedding a high ‘green’ arch foot bed for my left foot. We then tested and filmed the movement, which validated an improvement! Following this Emma tested one wedge under my foot bed on the left shoe. I started pedalling, and once again, felt an immediate improvement. 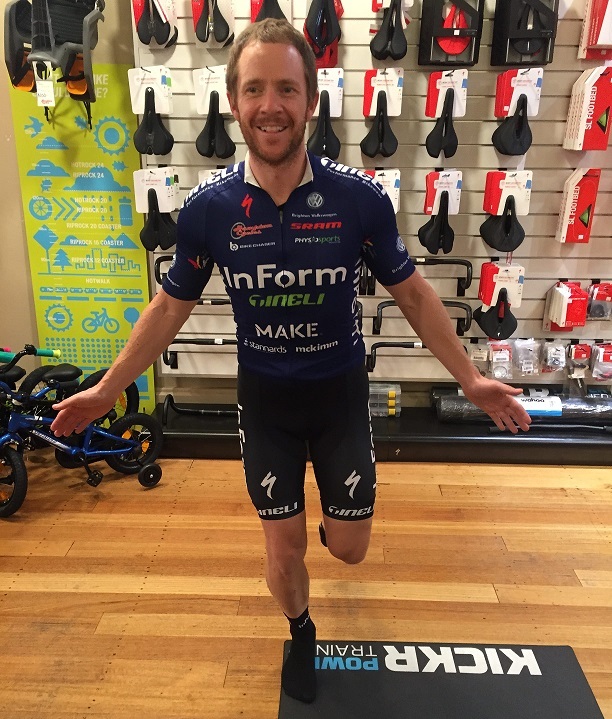 If you have soreness, tingling or unusual movement patterns on the bike and you’ve never had a full body and bike fit before, then I can highly recommend the Specialized Body Geometry Fit. I have now been riding with my new bike seat and improved pedal stroke for 2 weeks. I feel much more at one with the bike and have completely eradicated the tingling in my right hand. But perhaps most importantly, now that I’m comfortable and my left leg has more stability through each stroke, I’m confident that my power numbers will hit an all time high in the near future. I just need to wait for the fitness levels to rise too!